Is LukiLotto a Scam or Legit? Read Reviews! Lukilotto Exposed — A ‘Family Run’ Company or …? Looking at Lukilotto.com, I wondered if this was a spelling mistake (luck?) or a play on the Norse god Loki. It’s an online lottery provider with a pretty disappointing site especially with its use of highlighter color. Something I associate with amateurs. But, let’s go take a look. Lukilotto.com is a concierge website that provides access to three lottery games and a Euro Millions syndicate. That’s it. 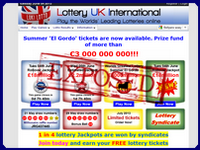 The lotteries include EuroMillions, UK Lottery and Spain’s El Gordo. It has a language button that changes the home page to a variety of languages though none of the other pages or information. It was kind of fun clicking on different languages. It was time to look at the terms and conditions. This is one I’ve never seen. I sat down with the team and discussed what they meant and the overall opinion was that they can do anything they want and there can be no repercussions. The team really had a problem with ‘may contain inaccuracies or errors’. But What About Winning at Lukilotto.com? There is no information on how winnings are processed or any rules and regulations. There is nothing. They do say that anyone can play and win and that this has been confirmed by an independent lawyer. There is no information on who the lawyer is or any contact details to get further information. The minimum play here is £14.00 with no information on how they take a players’ money. I’d read enough to know not to go any further. Lukilotto.com offers a couple of email addresses as well as a form to contact them. There are no telephone numbers (red flag flying). There is no online chat and/or any way to know when they will respond to an email. Going back to their inaccuracies and errors comments, I guess that makes sense as these folks retain the right to say whoops, we made a mistake – our bad – with no ramifications. It’s part of their terms and conditions. 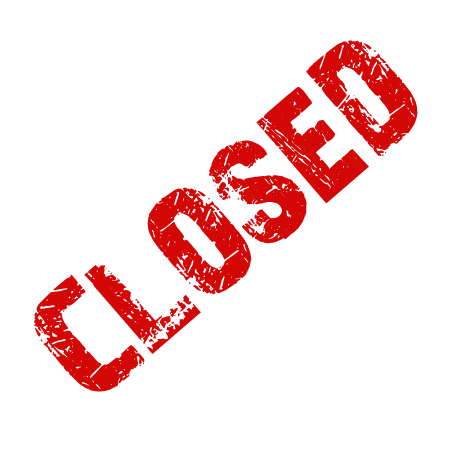 A company called Lottery UK International is the owner of Luki Co Ltd who is Lukilotto.com. They have a blurb on their website that says their company details can be found through Companies House in the UK including a UK website but our team couldn’t find any registration information or reference to Lukilotto.com, Luki Co Ltd or Lottery UK International. They do underline the fact they are a ‘family run’ company. It was established in 1998 though our team could not find any details to confirm this. They claim they are helping international players to participate in the three lotteries plus their own syndicate. This is the first time I’ve personally got a complaint. Lukilotto.com says “you may instruct us to provide you with any personal information we hold about you subject to payment of £10.00. I can’t quite figure out why I’d pay money to know what they have about me given that I’ve theoretically provided the actual information. Then again, maybe this is yet another concern – what information do they have about me? Digging, no news is not good news. There is no list of winners, no complaints and little information from the different web monitors. Would you mind rating LukiLotto.com? With involvement in only three lotteries with a general price that is higher than most other concierge providers, there are other options. There is nothing about this site that builds confidence especially involving your money and your personal details! This site gets a definite thumbs down. There is too little information on Lukilotto.com’s whole process and their disclaimer on inaccuracies and errors was enough to make me hit delete! What a hilarious read and thanks for the heads up! I didn’t even bother going into the site. No telephone numbers is enough to say no to this site but add to that the lack of info in the terms and conditions, forget it. I particularly had a chuckle over the disclaimers.